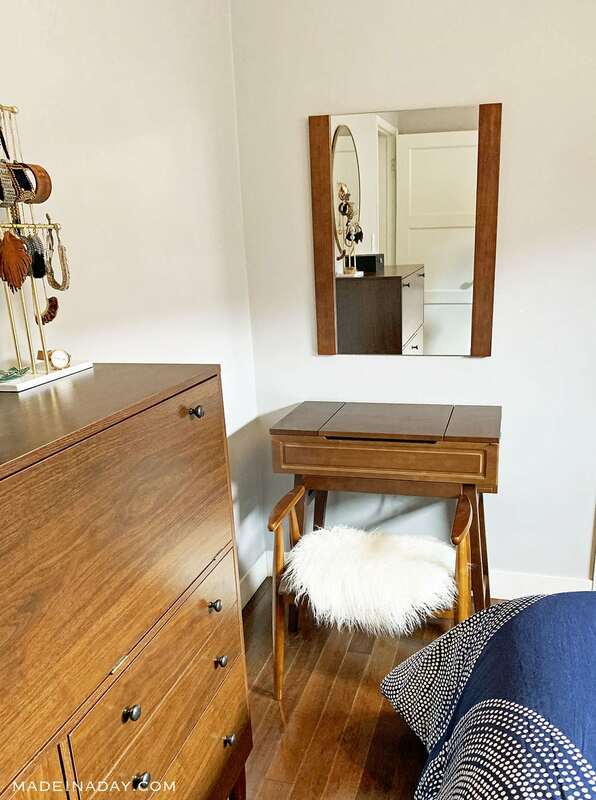 Wondering how to make the most of a small bedroom without losing style? 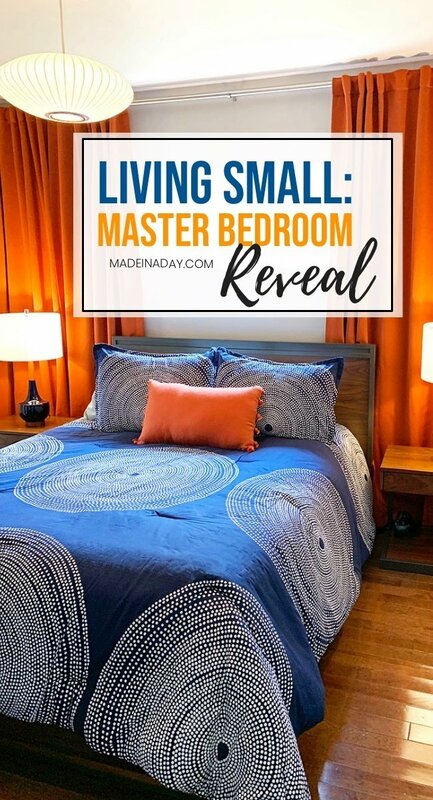 In my Living Small: Master Bedroom Reveal I show you how to use clever storage ideas and pops of rich color to create an inviting master retreat. For more small space living ideas see my Bungalow Living page. Since our big move across the country, I have been busy getting the basics together for each room in our new home. As of now, I pretty much have most of the furniture I need to complete each room. Everything just seems a little too neat to me. I think I feel that way because I got rid of all my clutter. Ha! Well, we all know I will gain more of that in time. Let’s take the tour! First up is the big view of my small master bedroom, seen above. We desperately needed more storage so we went with a storage bed with cool nightstands that allow the storage drawers to flow underneath them. I wrote a post about our storage bed choices, so make sure you check that out too! I wanted my home to have fun pops of color throughout. My favorite color is navy blue. 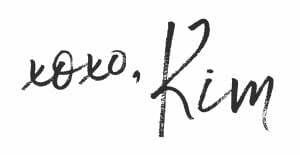 I have tons of it in my wardrobe. To me, navy blue is a great alternative to wearing black all the time. Plus is makes you look slimmer too! So it was natural for me to gravitate to navy blue comforter sets. The rich blue and fun white circles with dots bring a fun boho global feel to the room. I added orange blaze curtains to the windows to add a fun punch of color to the room. The navy blue and orange really compliment each other so well. They are one of my fav color combos for interiors. Orange decor is everywhere this spring. 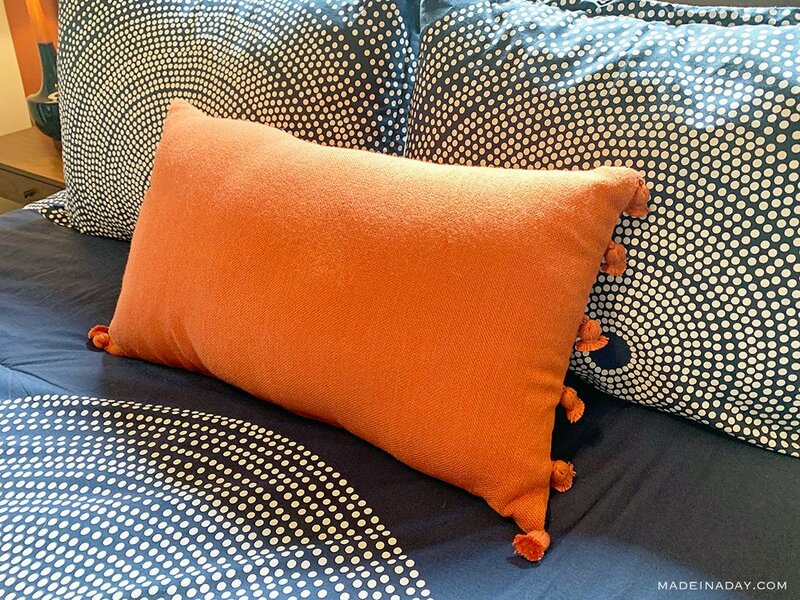 I fell in love with this fun orange lumbar tassel pillow. It really pulls the colors together in the room. 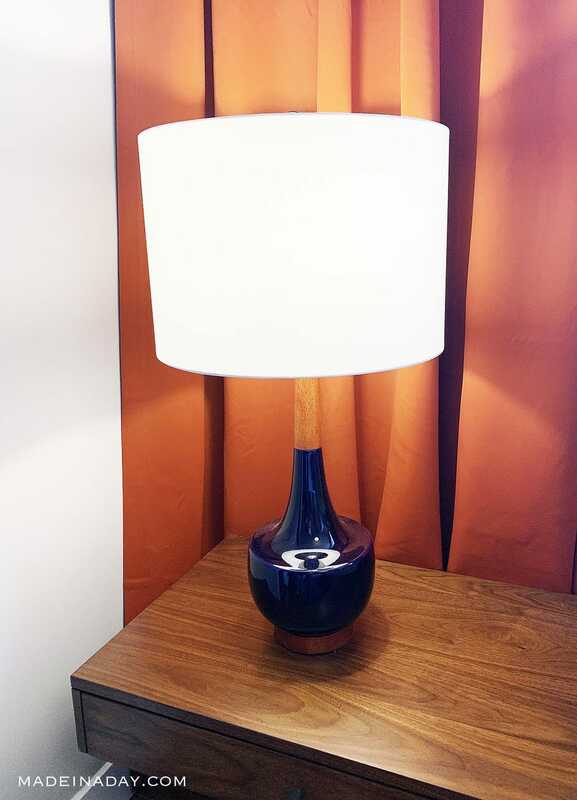 Another fun find for my master bedroom were these large navy and wood genie lamps! I usually do not like everything so matchy-matchy in my home but these beauties just work! The wood pics up the shade of the burnt orange curtains perfectly! 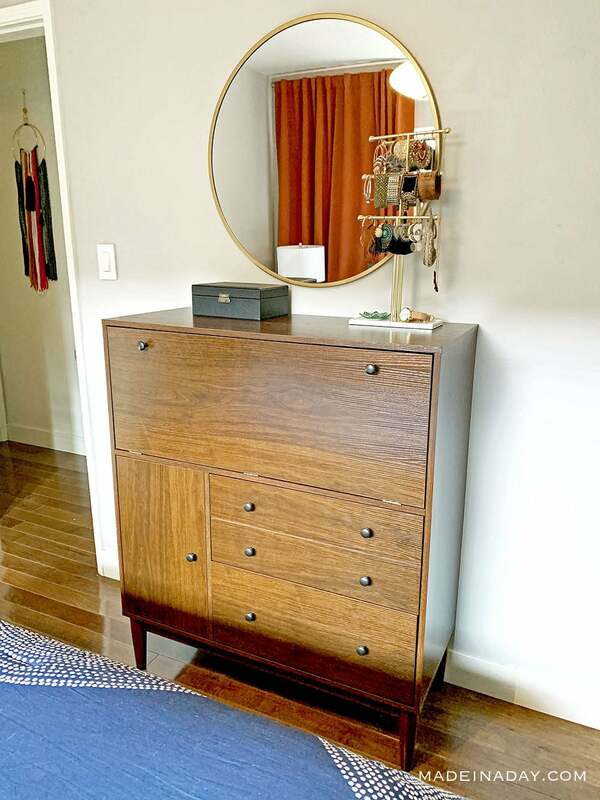 One of my favorite pieces is this mid-century chest. This bedroom is wider than it is long and the bed can only go on the wall with the long window. This makes the space at the foot of the bed very narrow. I searched endlessly for a chest with 16-inch depth and legs that would not cramp the space. I was so happy to find this one. It has a pull-down writers desk too! The round mirror is an inexpensive but great find from Target. 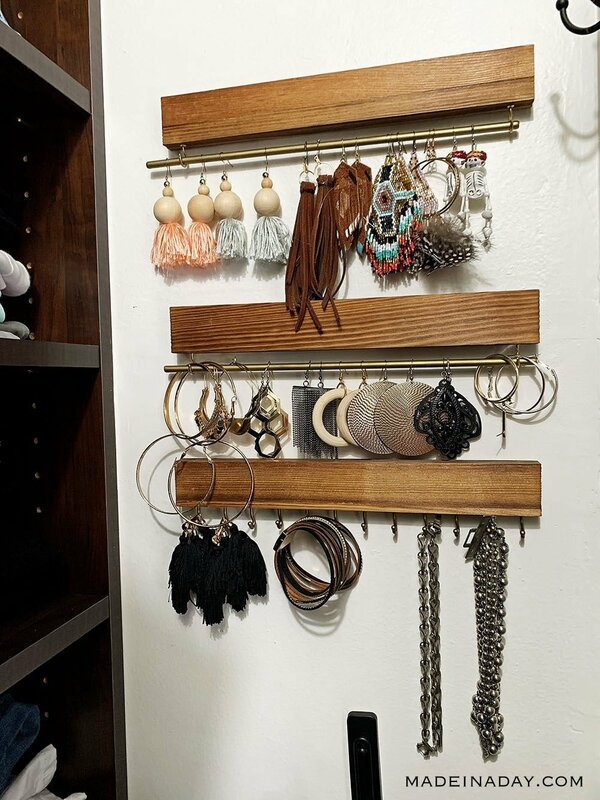 One of the things I had to give up was my DIY Industrial Jewelry Holder I made a couple of years ago. I just didn’t have space for it. I have a ton of jewelry so I needed a solution that would work without looking cluttered. I found this simple gold jewelry hanger to sit on my chest for the things I wear most often. 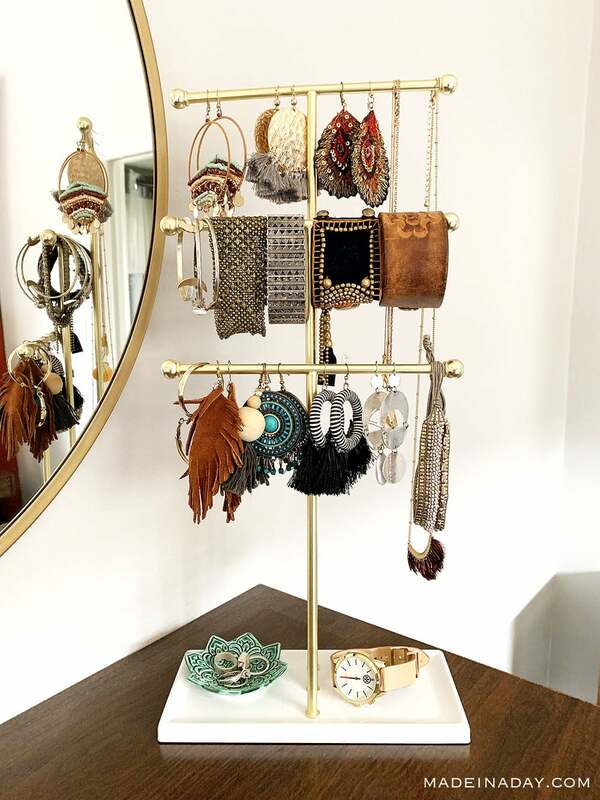 Then I bought two sets of these wood and gold metal and hook jewelry holders to put in my closet to store the rest of my collection of earrings and bracelets. I hung another one on the other side for necklaces too. One other small space issues we had was with sharing a small bathroom with my husband. I have tons of makeup and hair supplies that I refused to give up so I decided to buy a vanity to store my stuff in! The sides fold out into a larger table for things like a magnifying mirror and curling irons to rest on. The center of the vanity pops up to display a large mirror. I found a super cute mid-century stool and added a faux fur throw on it to add a little boho pop to it. 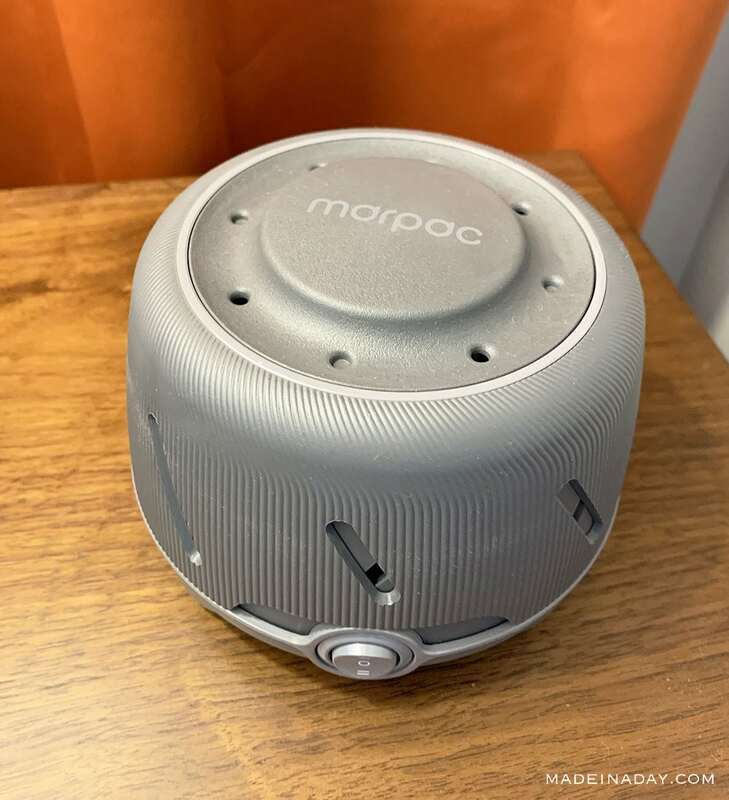 The coolest thing we have in our room is this Marpac Sound Machine. The sound is white noise made with a fan. To me, it sounds like an air conditioner at a hotel except it doesn’t shut off every 20 minutes. We love it sooo much! You will totally sleep like a baby with this machine! 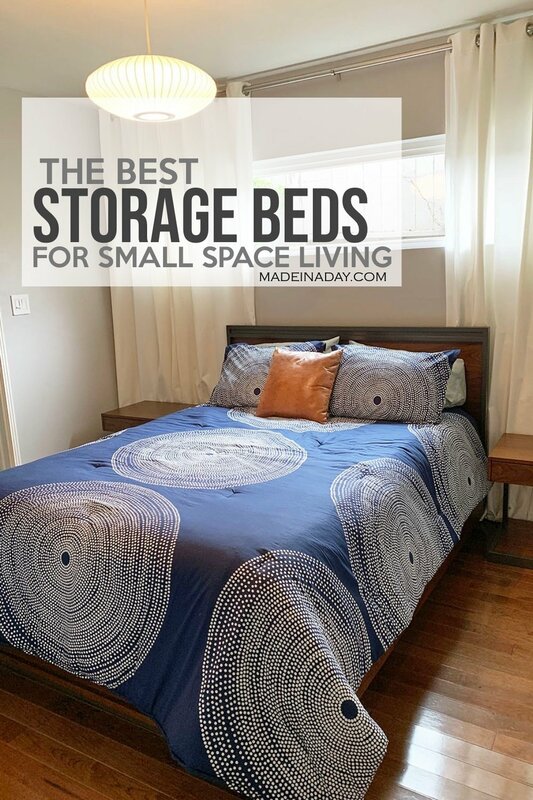 I hope you enjoyed the tour of my new small space master bedroom and were inspired by my solutions for extra storage without compromising style! If you too have a small-spaced home I would love to hear your solutions for storage. Just leave me a comment below. You can find me on Instagram too! 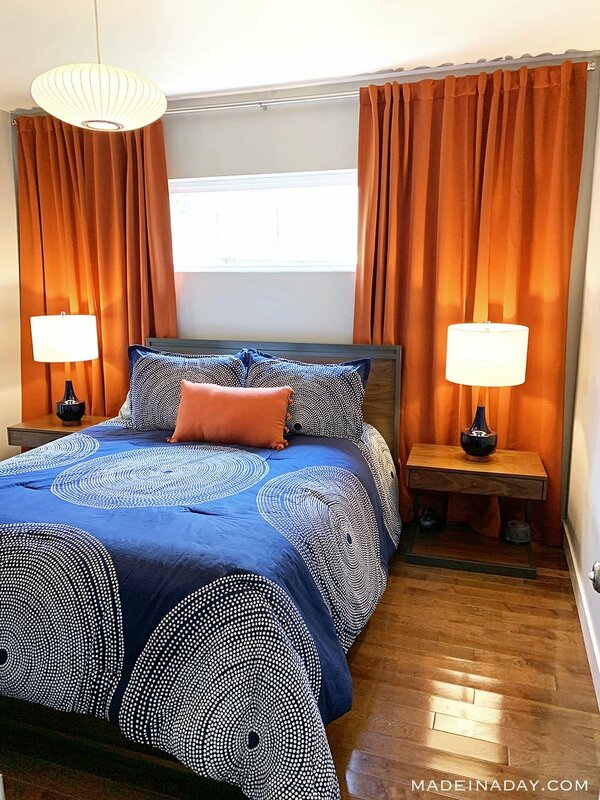 Check out my Storage Bed post and see how bland the room looked before I added those Blaze Orange drapes!